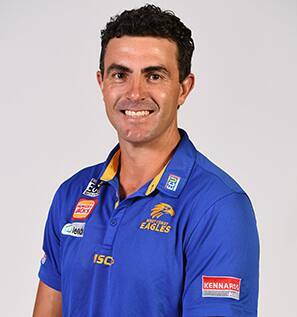 Simpson is West Coast's sixth coach and joins the club having come from successful environments as a player and an assistant coach. His 306 games with North Melbourne yielded two premierships. He was also a best and fairest, an All Australian and captain for five seasons. After a four-year assistant coaching apprenticeship with Hawthorn under Alastair Clarkson, Simpson joined the Eagles ahead of the 2014 AFL season. After narrowly missing the finals in his first season at the helm, Simpson has guided the Eagles to the finals in 2015, 2016 and 2017. 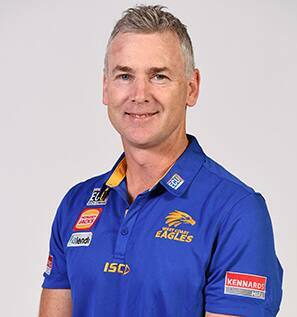 West Coast Eagles: Development coach 2012; backline coach 2014-2016 ; Midfield coach 2017; Contested ball coodinator 2018-present. Hickmott earned his chance at a senior position after gathering experience across the country in a variety of coaching roles before joining the Eagles in 2012. 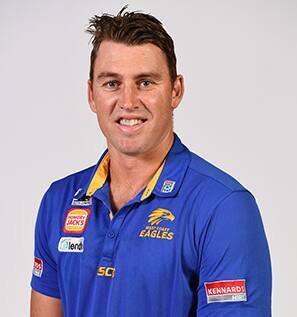 After leading the Eagles backline for two seasons Hickmott shifted his focus to the Eagles midfield unit alongside Dean Cox in 2017 before assuming his current role ahead of the 2018 season. 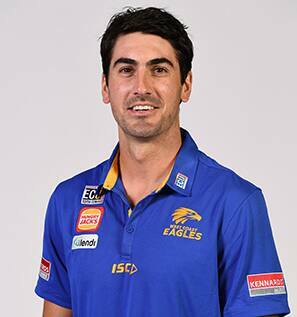 West Coast Eagles: Development coach 2014-2015; East Perth senior coach 2016; Forwards coach 2017-present. Graham was drafted to West Coast in the 2004 Rookie Draft before cementing his position in the side in 2006 playing 24 games, agonisingly only missing the Grand Final. After leaving the AFL Graham returned to South Fremantle where he played in his second WAFL premiership in 2009. Graham started his coaching career at the Saints before switching to his old club ahead of the 2014 season. After impressing in his first two years, Graham was appointed senior coach at the East Perth Football Club, leading the Royals to the finals in 2016 before being promoted to his current role ahead of the 2017 season. West Coast Eagles: Development coach 2014 ; Defensive coordinator 2015-2016 ; Backline & team defence coach 2017; Backline coach & defensive coordinator 2018-present. After eight seasons in the AFL, and two seasons as co-captain at Box Hill in the VFL, Pratt retired from the game having played 119 times at AFL level. 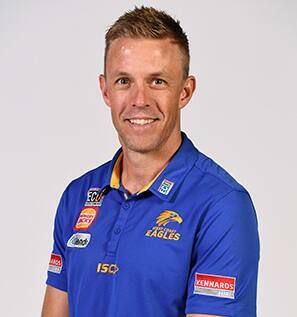 His strong leadership and development skills were identified and Pratt joined the Eagles as a development coach in 2014. 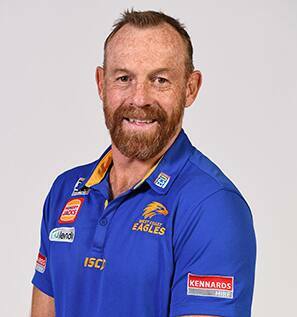 Pratt was elevated to the role of Defensive Coordinator for the 2015 AFL season, focusing on the Eagles’ team defence, before adding the backline group, as well as team defence, to his responsibilities in 2017. After a distinguished career at the Crows, where he captained the side from 2011-2014, Van Berlo moved into coaching where he led the Crows developing forwards in 2017. Moved west ahead of the 2018 season where he'll work closely with Sam Mitchell looking after the Eagles' midfield unit.